To apply to any position, please send us an email with your resume, cover letter, and a link to your portfolio. Please see the instructions below before sending any sensitive copyright material. Part-time freelance position. Meeting in-house once a month. Looking for a person with budgeting experience. Tasks include: tax filing, studio budget administration and budget forecast. We need someone who is responsible, knows how to work with small businesses in the entertainment industry, and is very detail-oriented. We are currently full on staff with wonderful artists and writers in our freelance rooster, so at the moment we are not taking more submissions. However, if you think you might be a good fit stay tuned to our Instagram, Twitter and News Blog for the submission announcements. 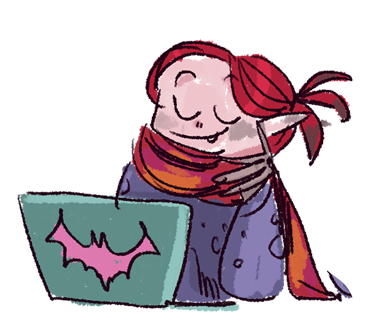 Also, we will be attending to several festivals like CTNX, Comic Barcelona, OIAF… and more, where we will be more than happy to review work in person! We know that our best stories can always come from somewhere else... what's important is our passionate teamwork! So if you are interested in a partnership with us, we would love to learn more! Glow in the Dark enjoys teaming up with awesome creators for a greater future. We carefully handpick unique stories that we believe have an undiscovered potential, and offer the project the resources it needs to blossom. If that's something you might be interested in… Stay tuned! We open idea submissions every year, twice! So we will be announcing it so on our Instagram, Twitter and News Blog. Please do not submit unrequested material meanwhile! Applications are currently CLOSED. Please keep an eye out for Fall or possibly Summer! If you want to solicit our services with an idea, concept, or any form of material, please contact us first so that we can ensure the legal safety of all parties; this is vital in an industry where intangible concepts are just as important as physical work. Please do not send content without being asked to by Glow in the Dark. If you would like to send a concept or an idea to discuss, please email us at info@glowinthedarkconceptstudio.com and we will happily help you with it. Please understand that given the volume of email we constantly get we might not be able to answer you right away, please be patient with us! Thanks!